The Writers’ Studio offers classes, inspiration and community for writers of all skill levels. Whether you are beginning a writing journey, mastering the craft of writing or learning the business of how to become a published author, the Writers’ Studio is here for you! Classes, Roundtables, and Salons are open for everyone. Work Sprint (timed writing sessions) takes place on Tuesday and Thursday mornings. A number of Writing Groups have also formed focusing on different genres. Some have reached their maximum numbers; others are open for new participants. If you are a BARN member and want to have fob access to the Writers’ Studio, please email Amelia Ramsey to schedule an orientation. Completing the orientation will allow you to use the room for your own writing whenever a class, event, or meeting is not scheduled. 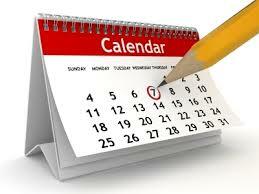 Come by or consult the Calendar for open times. We welcome your participation and value your ideas and suggestions! Roundtables and Salons take place on the fourth Thursday from 7:00 – 8:30 PM and are free for members. Non-members pay a $5 fee. Please register for a specific monthly topic. Come participate in Word Sprint Meet-up (Tuesdays) and/or Word Sprint Meet-up (Thursdays). Please CLICK to subscribe to our periodic newsletters! Writers’ Studio Phone: Please note that no permanent staff is maintained to answer the studio phone. 206-842-4475, ext. 215.